Buying a new laptop is one thing; maintaining it is another thing. Most times, it’s the fault isn’t from the manufacturer, but the user. 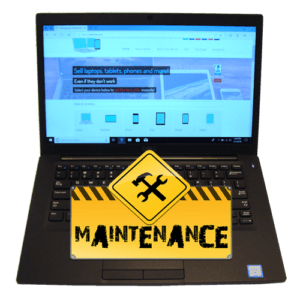 Carelessness, improper maintenance and abuse could shorten the lifespan of your new laptop, and you might find yourself in the market in search of a new one in two years due to mishandling. Proper maintenance is easy but is usually ignored; here are a few tips on how to make your new laptop last longer. Dirt and dust can ruin the outlook of the exterior parts of your computer. From time to time, ensure you use approved wipes to clean your PCs surface to get rid of dirt and stains. Clean the screen and with soft materials so as not to scratch it. Also, your keyboard needs to be cleaned thoroughly to get rid of the dust in between the keys. You could use either a toothbrush or a cotton bud with a little isopropyl alcohol to do this or better still; a small vacuum would do just fine. The battery life of your laptop won’t always be as good as it was when you first purchased it, but that doesn’t mean you can’t prolong it. Most laptop users make the mistake of overcharging their PC even after its fully charged. What this does is that it puts your battery under much pressure and reduces its lifespan. To make your battery last long, charge it till its full or at least 80% then unplug, use it and let it drain to at least 30% before recharging. Overcharging reduces the pressure and prolongs battery life up to four times more. Excessive heat can damage your computer, and reduce its lifespan. Avoid using your laptop in really hot environments. Ensure the temperature of the room is cool, and also make sure your laptop fans are always working, if not do well to clean the vents or service them. Most times we don’t want to shut down because we’re busy with work and want to resume where we left off. It’s understandable, but it’s also dangerous to your laptop health. If you find yourself always sleeping or hibernating your PC, then you have to change that habit. It is advisable to shut down your computer once in a while to let it cool down. This enables it to reboot, which helps your programs and apps to function more efficiently. Starting from the OS to the programs and apps, updating your PCs software makes your laptop function more smoothly. When you update programs and apps, it adds new features and fixes existing bugs that diminish the performance, and you don’t miss out of any fantastic features that come with the latest version. You can never know what might happen to your computer the next minute, that’s why you should regularly back up all your important files on an external drive or a cloud such as Google Drive and Dropbox. Backing up will keep your data safe in case of any unforeseen damage to your laptop. When your storage is 80-90% full, it could make your PC slow. Make it a habit to often free up your hard drive by deleting every file, program or software that you aren’t using anymore. A computer virus can destroy your files and damage your computer. Updating your antivirus is important to prevent your computer from crashing due to a virus attack. Updates make antivirus detect and delete threats faster, securing your laptop.